The long winter off-season period is almost over. In just over one week, the first official FIA World Rallycross Championship test will take place at Loheac in France. The 2018 Polo includes a new, larger, rear wing. “I can't tell you how much I missed this feeling,” said Kristoffersson. “Getting behind the wheel for the first test of the new car on Saturday was such an exciting moment.” New EKS signing Andreas Bakkerud was also in action at Mettet. 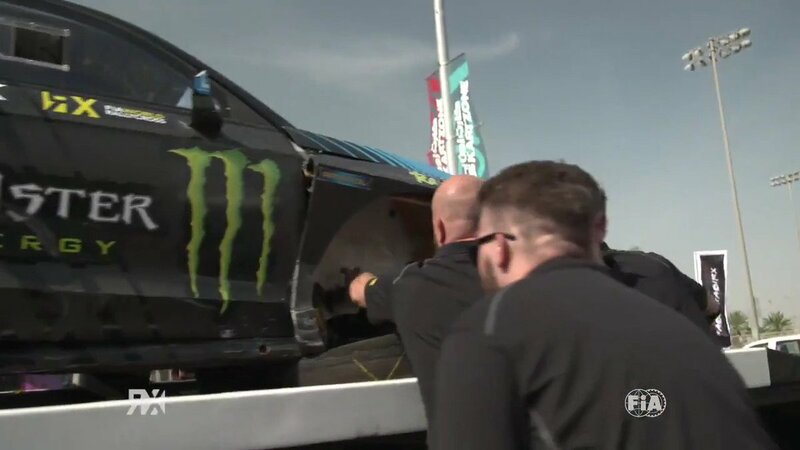 He drove an Audi S1 in the test on Saturday and in the first round of the Belgian Rallycross Championship on Sunday, where he set the race until the retired from the final in dramatic fashion due to a fire. Several FIA European Rallycross Championship drivers were also in action. Denmark’s Ulrik Linnemann won the Belgian race as Ireland’s Derek Tohill and Sweden’s Peter Hedstrom also took part. Former World RX of Argentina winner Robin Larsson won the third round of the RallyX on Ice series for Supercar Lites. Another World RX race winner, Sweden’s Kevin Eriksson was third behind his brother Oliver, who leads the points.